What do you want? Tech news. When do you want it? As soon as possible. Well, you happen to be in luck: with the help of our friends over at TechRadar, we've plucked the five juiciest tech stories of the day and presented them here for your reading pleasure. We're only a week and a bit away from the official unveiling of the Samsung Galaxy S9, and hype levels seem to have reached a peak. If you were in any doubt that this is going to be a super-fast, high performance phone, some benchmarks posted to the web suggest a 30-80 percent increase in scores from the Galaxy S8 released last year. If you're planning on picking up an S9 or an S9 Plus, hold on to your hat – it's going to be one speedy performer. Sea of Thieves for Windows and the Xbox is set to be one of the biggest game releases of 2018, and ahead of its launch in March, members of the press and beta testers have been giving their verdict – and the verdict is this is definitely a game worth looking forward to. The multiplayer experience in particular is set to be as rewarding as anything that's gone before, so fill up on rum, hoist the Jolly Roger, and prepare to take to the open seas. 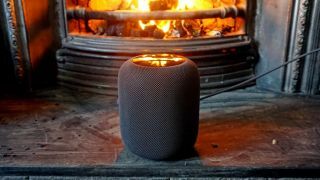 A new analysis by respected US organisation Consumer Reports says that Apple's new HomePod speaker is bested by the Google Home Max when it comes to the quality of its acoustic output – not great news for Apple considering the sound quality of the HomePod is supposed to be one of its key selling points. Consumer Reports admits the HomePod can produce a fantastic sound too, so it's not like there's a lot to choose between them. Amazon is reportedly working on custom-made AI chips for its line of Echo smart speakers, chips which will make Alexa more responsive and reduce the need for your speaker to send your voice instructions off to the cloud for processing. For the moment, Amazon's move into chip development isn't official, but it makes sense for the company to want to gain an advantage wherever it can in what's becoming a very crowded part of the gadget market. All being well, we should see the next version of Google's mobile operating system, Android P, appear this year. Industry reports suggest the OS is being built with multiple displays in mind, clearing the way for foldable handsets with two screens – we've already seen one of these in the form of the ZTE Axon M, and Samsung is reportedly working on such a device as well, codenamed the Galaxy X. Single screens are so 2017, anyway.